The highest court in Massachusetts on Friday issued a ruling that clarified conditions under which public funds can be given to a religious institution in a case brought by a group of Acton residents opposed to community preservation grants for a local church. 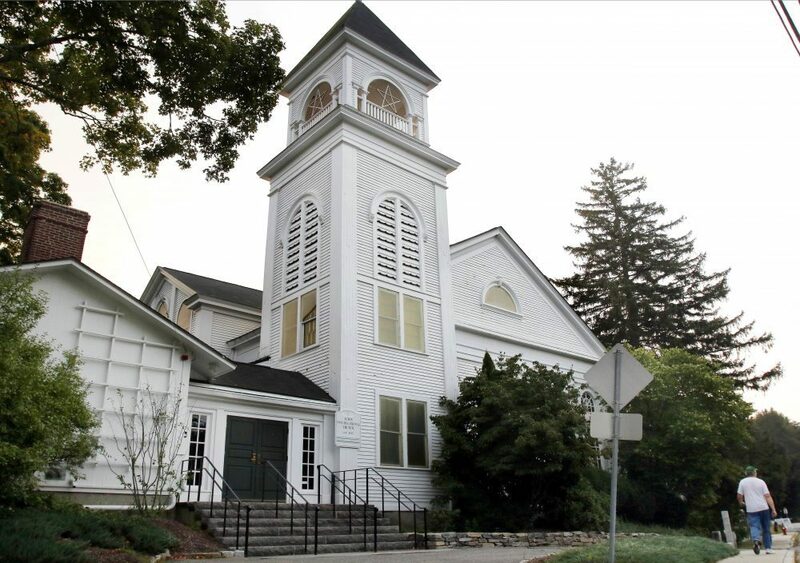 Lawyers for both sides claimed victory in the ongoing constitutional fight over about $100,000 in town grants to the Acton Congregational Church, a case that could have wider ramifications in the preservation of religious institutions statewide. The fight was over two grants, one to preserve a stained glass window that contains religious imagery and another to create a master plan to study the structural integrity of the church and two associated buildings. The church building, which dates to 1846, is still home to an active congregation. None of the grant money has yet been handed over. The Acton residents, represented by the Washington-based organization Americans United for Separation of Church and State, argued that giving taxpayer money to the church violated the state constitution. The town said the funding is appropriate because it is supporting the preservation of a historic structure, not furthering a religious purpose. Town attorneys noted that more than 300 projects involving religious institutions already have been funded through the state preservation program. The high court ruled that the "constitutionality of such grants must be evaluated under our three-factor test: A judge must consider whether a motivating purpose of each grant is to aid the church, whether the grant will have the effect of substantially aiding the church and whether the grant avoids the risks of the political and economic abuses that prompted passage of the anti-aid amendment." The court ruled that the plaintiffs are likely to succeed in challenging the stained glass grant and ordered a lower court to prevent the town from handing over the money. As for the master plan money, the court sent it back to the lower court for further proceedings based on the high court's guidelines. "We are confident the town will ultimately prevail," said Nina Pickering-Cook, an attorney for the town. Eric Rothschild, an attorney with Americans United for Separation of Church and State, said the plaintiffs welcomed the decision. "The court's decision could be fairly read as urging the trial court to pay attention to the extent this money is going to the core of the church, the sanctuary," he said.